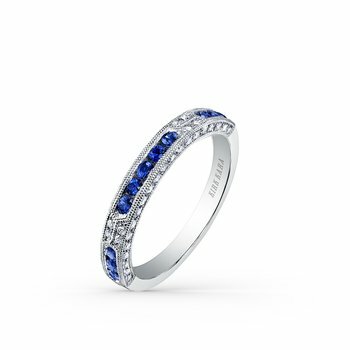 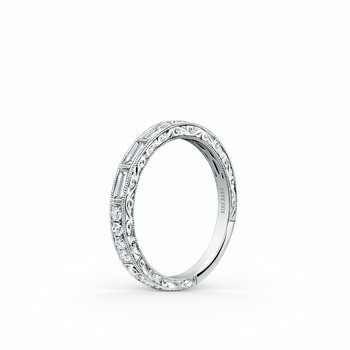 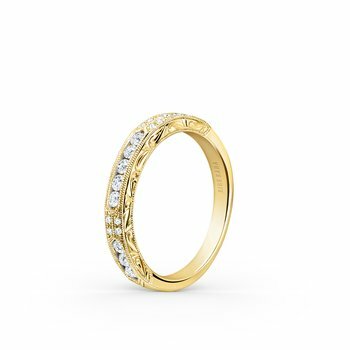 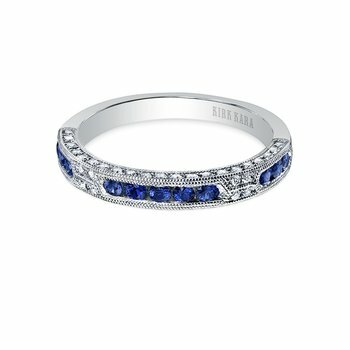 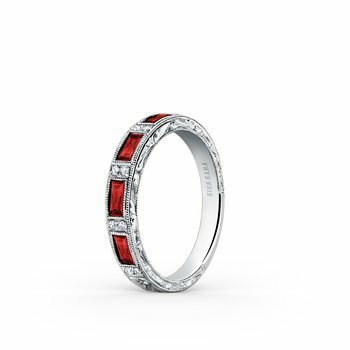 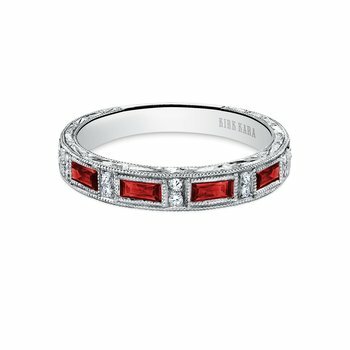 A wedding band with gemstone accents is a fun, unexpected way to incorporate color into a bridal set or statement stack. 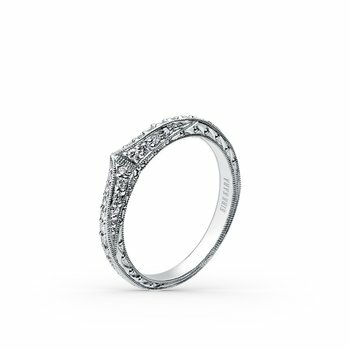 Perfectly suited for the creative, modern-vintage bride, this Art Deco style collection radiates a bold, happy vibe to match its clean, symmetrical lines. 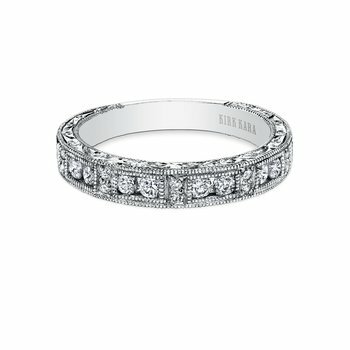 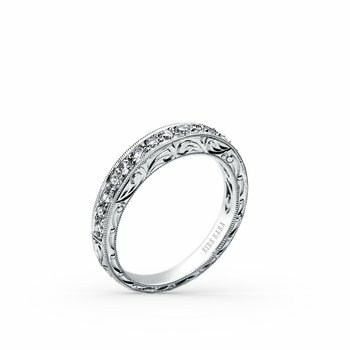 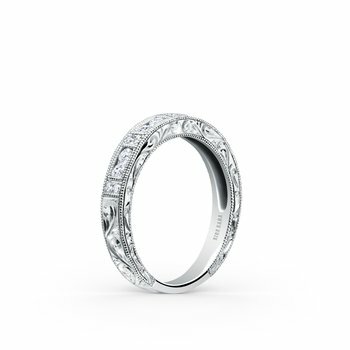 Meticulously hand engraved with milgrain edges and gemstone accents, Charlotte wedding bands have a carefree spirit and artistic soul.